The current goal is to complete a comparison of the three senior flock members: Sally & Holly the twins – 3 year old ewes, and Sammy our year and a half old ram. Sally is done. Now, Holly. 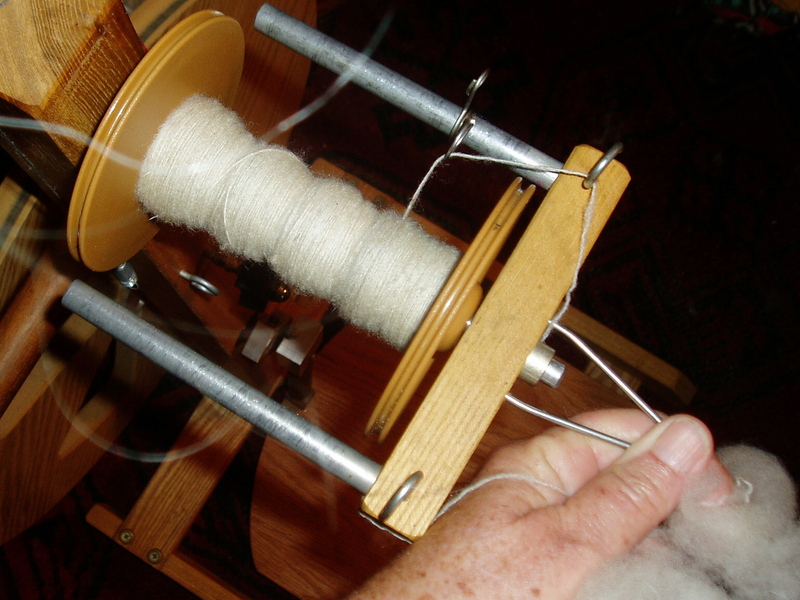 The fleece I’m spinning is so fine, I can’t believe it’s her! This is fleece from down near her belly…stuff that fussier skirters might chuck, due to dirt and VM. But, that ol fleece cleaned up white as snow in 3 shampooings. Yes. I used my shampoo. Look at that! Anyway…I gotta get offline so I can spin some more tonight!